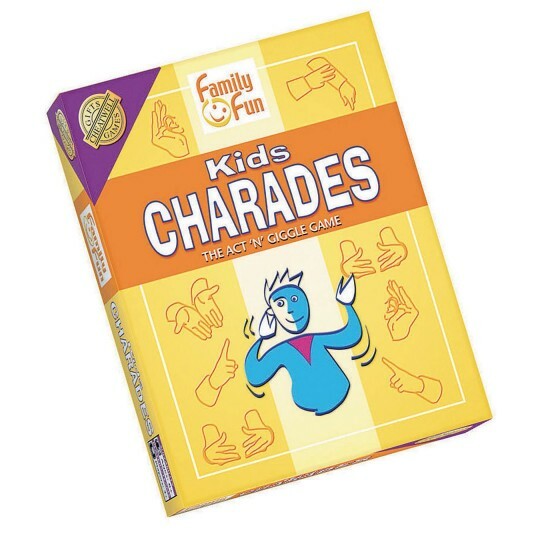 Kids Charades is a classic party game that develops critical thinking skills and builds imagination. Instant fun and laughter for the whole family! Includes score pad, charade cards, sand timer, 1 dice, pencil, and instructions. For 3 or more players, ages 8 and up.